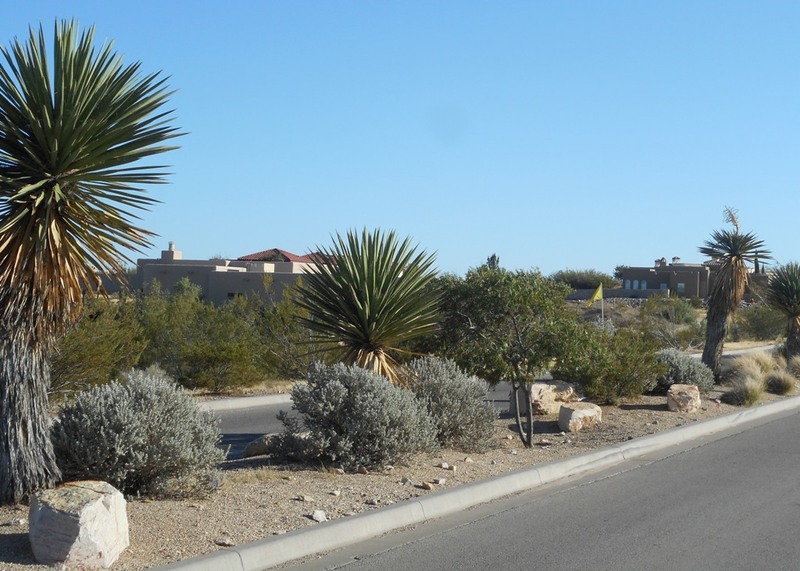 Posted on 10/27/2017 11/06/2017 by Desert Dweller | David C.
The streetscape here was designed to combine naturalistic planting arrangements, yet be structured to read at 30 miles per hour. Note the variety in taller Yucca faxoniana and Rhus lanceolata, playing off the gray Leucophyllum zygophyllum. 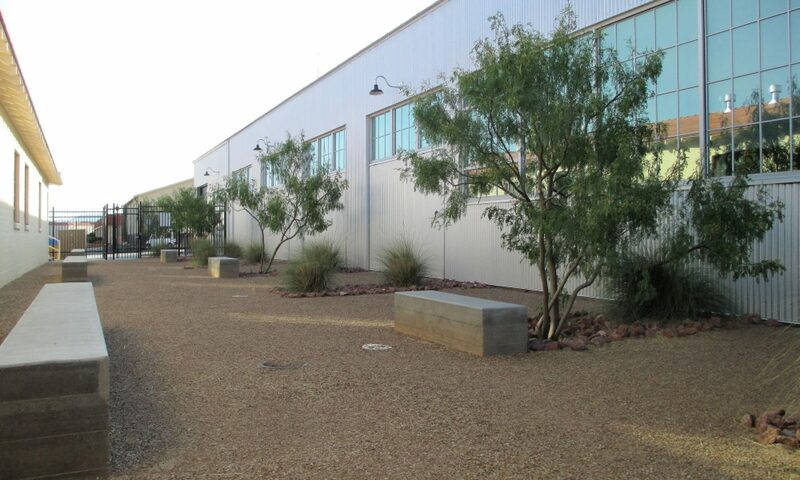 This Nolina greenei and the boulders were installed, but happily, a Gutierrezia microcephala volunteered in between the boulders and has been allowed to stay. Extra rain water collects there, the boulder acting like a dam just like curb and paving edges act. Those golden flowers are welcome, as is the irregular and planted arroyo tree, Celtis reticulata / Canyon Hackberry. The latter tree is on the edge of the basin but rooted into it, which mimics its natural arroyo habitat. But to get natural order in less than geologic time, or even 50 years, one needs to weed out the basins of invasive species, so the native seeding can establish. To keep a diverse yet healthy and appealing biota for all, mindful yet proactive maintenance is key.